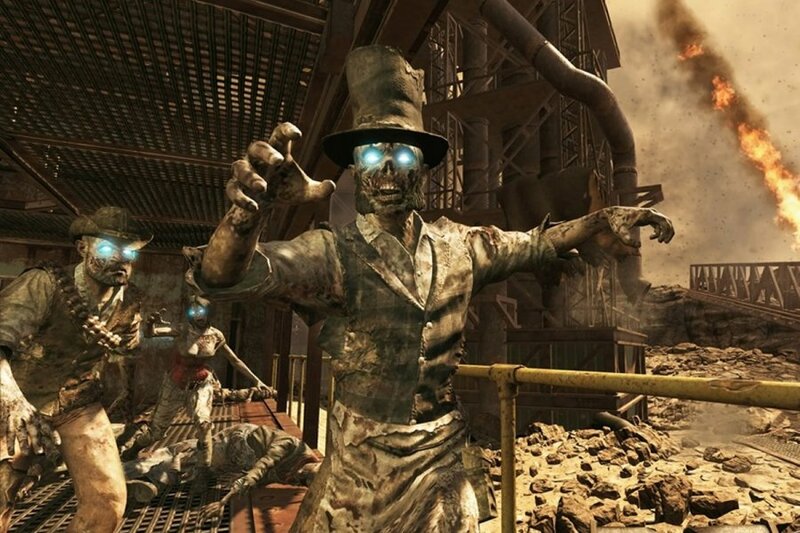 That shambling, shuffling noise is not the sound of the latest 4 player zombie map for Call of Duty: Black Ops 2, but the slow progress of its release on PC and PS3. The Vengeance DLC has been available to download on 360 for weeks, but has yet to arrive on these other platforms. The end of days is in sight with news that Vengeance will be met on August 1st for $14.99, or as part of a season pass. Treyarch continues to expand the Zombies story world in imaginative, mind-tripping ways with "Buried." Once players meet up with the four survivors of Tranzit, they'll begin to encounter the undead residents of an abandoned underground Old West mining town. A healthy arsenal of equipment and weapons will be at players' disposal, but with one very special addition - something so powerful it will also appear in all other Call of Duty: Black Ops II Zombies maps (with the purchase of Vengeance DLC) - the Ray Gun Mark II. The walking dead only have to stumble for a couple more weeks for the DLC to arrive. Page created in 0.2583 seconds.